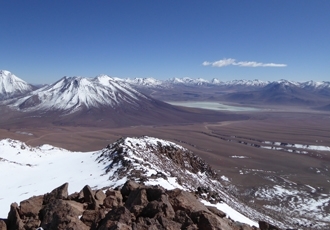 Cerro Toco volcano is situated in the eastern part of the Atacama desert and is 5,615m high so provides a very rewarding but non-technical hike. The views from the summit to the surrounding volcanoes and beyond are simply breathtaking. 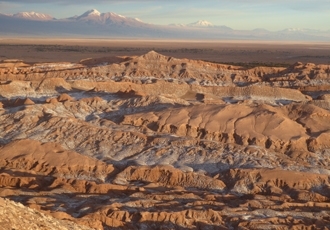 Named after its lunar-like appearance, the Valle de la Luna, or Valley of the Moon, is an extraordinary desert landscape. The plunging canyons, cliff faces, towering rock pillars and wind-sculpted rock formations are best viewed as the sun sets - heightening the deep ochre-red desert tones and bathing the valley floor in a rich golden light. A truly magical experience. 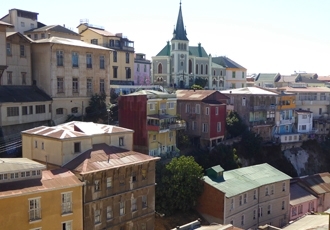 Valparaiso was declared a world heritage site by UNESCO and it’s not difficult to see why. Picturesque architecture and multi-coloured houses spread out over more than 40 hills, creating one of world’s most eclectic, unique cities. Narrow, winding streets line the hills, connected by hidden staircases and ancient elevators still in use and the views from the hilltops across the city, port and Pacific Ocean are quite stunning. 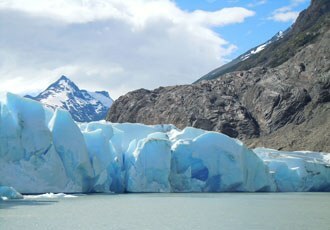 Fed by the immense Southern Patagonian ice field, Glacier Grey is more than 7km wide at its largest point and rises to over 20 metres in height. To really appreciate the scale of this impressive wall of blue ice, as well as its natural beauty, take a boat trip across the waters of Grey Lake to the foot of the glacier and gaze up in wonder at this marvel of mother nature. 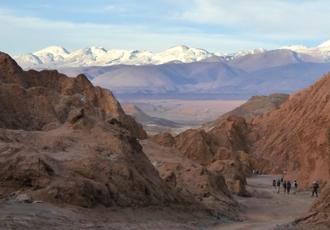 Near San Pedro de Atacama, in the Valley of the Moon, an easy hike takes you down to the base of Kari Canyon. You will walk past eroded salt pillars, sculpted rock formations and fairytale gypsum grottos to reach the canyon floor where the minerals in the walls sparkle in dazzling colours. 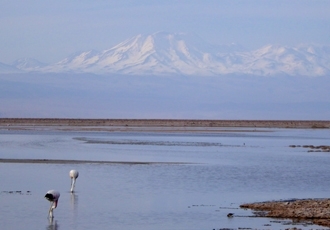 Chaxa Lagoon is a national reserve located in the Salar de Atacama – the largest salt flat in Chile. The lagoon is surrounded by salt crust and gypsum produced by the salt water evaporating and has a beautiful mountainous backdrop. It attracts both Chilean and Andean flamingos – providing a dazzling display of colour when set against the turquoise waters and the ochre landscape. 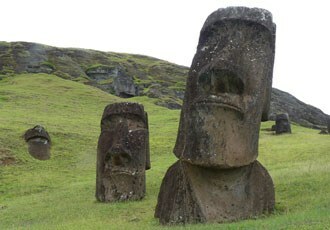 One of the most mysterious and remote places in the world, Easter Island makes for an intriguing destination. Situated over 2,000 miles from mainland Chile in the Pacific Ocean, it is a place like no other primarily due to the hundreds of massive Moai statues scattered around the island. A week-long visit to Easter Island will provide ample time to investigate the many mysteries surrounding the Moai as well as enjoy some excellent walking and maybe even some horse riding, cycling or scuba diving. Ride the ski lift to the summit of Osorno Volcano in the Lake District region for amazing panoramic views of coast, plains, lakes and volcanoes. 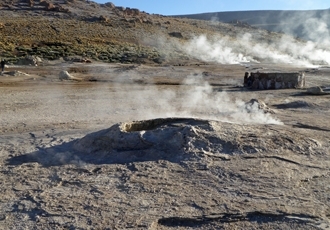 Tatio is the third largest geyser site in the world with over 80 active thermal features including some of the highest geysers in the world. As you walk round the geothermic field you can see steam boiling up from almost 900 metres below the earth. Wander round the bubbling pools of mud and water and marvel at the colour and contrasts as the sun takes hold. You can even enjoy a hot chocolate, heated in a hot spring. 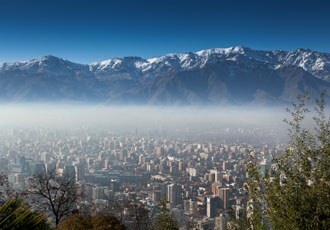 Chile’s capital city is a sprawling metropolis, but the main visitor attractions are concentrated primarily in the Centro area and can easily be explored on a half-day tour. The primary sights to see are the central market, the Plaza de Armas, the Metropolitan Cathedral and the Presidential Palace. For a panoramic view of the entire city, climb to the top of the Cerro Santa Lucia hill. 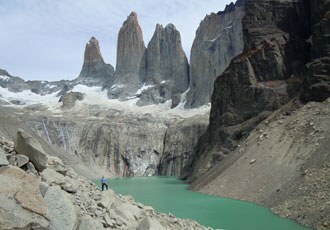 Complete one of the classic treks of the world on the week-long, Torres del Paine Circuit. This fully supported camping trek will get you up close to all the key sights of the park with a daily feast of granite spires, turquoise lakes, impressive glaciers and snowclad summits. With expert guides, good paths and low altitude there’s nothing to detract from the stunning scenery and the joy of trekking in one of nature’s great wonderlands. 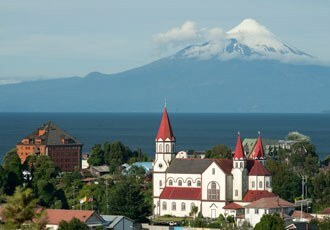 The lakeside town of Puerto Varas is one of the prettiest in the Chilean Lake District. With its wide streets, charming buildings and extensive views to two towering volcanoes it's a delightful place to enjoy a stroll. 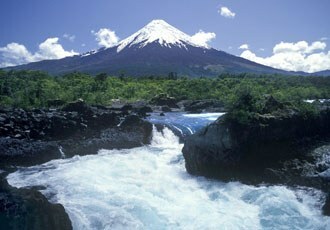 It also makes a great base for excursions to nearby Osorno Volcano and the Vincente Perez Rosales NP. 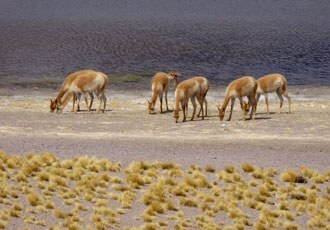 Fortunately, you won't have to look too hard to find a Vicuna in northern Chile. Along with their camelid relatives - llamas and alpacas - they are a fairly common sight in the Atacama desert, particularly where there is water and vegetation. In Patagonia, you will also find guanacos in large numbers. Just a couple of hours drive from Santiago, the walk to the El Morado Glacier and lagoon makes the ideal acclimatisation hike (2,551m/8,370ft) at the start of your walking holiday in Chile. 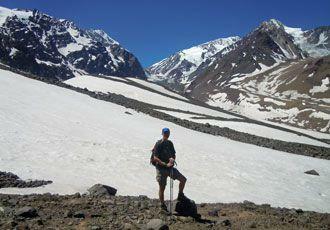 It is a three-hour walk up rocky slopes to the sparkling glacier. Stop for a tasty picnic before returning to the vehicle. You don’t have to trek the Torres del Paine Circuit to discover the scenic wonders of Patagonia’s most celebrated national park. Instead, a series of day walks to the most noted viewpoints will reveal the full beauty and grandeur of the park. Hikes to the lookouts for the Towers of Paine and Los Cuernos are top of any walker’s wish list, closely followed by walks along the French Valley and round Lago Pehoe. A 5-day visit will take in the best of the sights but there’s always more to explore if you have a little longer.